Video review of Winchester 1873 Short Rifle .357. 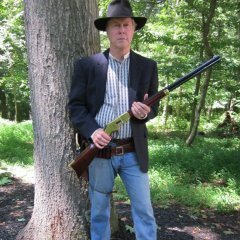 Here is my from box to match review on the Winchester 1873 Short Rifle in .357 mag. Quick info, I ran it with no lever wrap. The stock sight are a semi buckhorn and a very small Marbles style bead, I struggled with seeing them well. But beyond that I was extremely pleased. Ran like a top and I didn’t so much as even touch a screw on it. I was only able to get 4 stages in because I SDQ’d on the last stage by coming to the line with my hammer back, lack of focus on my part and also a first for me in 17 years of CAS. I still had a ball doing it!! Thank you to We The People Munitions for providing the ammo for this review. Hope it’s informational and entertaining. Always enjoy videos by Deuce. Good video and it should help A LOT of shooters in their quest for a nice rifle. I also liked the manner in which Deuce promoted SASS in his video. Well done. That rifle looks like it's pretty smooth for right outa the box. Is the lever throw shorter than a uberti stock. Good review Duece. Yes considerably, about the same ss a Uberti with a 3rd gen. I have the same rifle and I am looking for a bullet mold that will feed well with 38 sp, anyone have a favorite? Can you get a 20 in barrel and CCH receiver ? And are many smith's tuning them with success ? Thank you. I like that you have chalanged the opinion that factory stock guns can't possibly be competitive. The Winchester Miroku is a quality gun and a real value. 2. Any internal modifications other than smoothing up points of contact? The rifle in the video was completely stock, literally wiped the packing grease off, checked for obstructions in the bore and shot the match with it. . Are you asking if it needs any action work? Yes. Obviously the stroke throw looks pretty good. Just wondering if you felt any internal parts needed some smoothing over. And what would one go for from a friendly, neighborhood FFL dealer? I know a FFL that sells them for $1099 shipped. I'm not sure about the Winchester but my Uberti runs great with a 125 gr. Truncated Flat Point .38 loaded in the crimp groove. I had trouble telling in the video, that’s a round 20 inch barrel?? Thanks for the review!! I had two of them. I ran 105 & 125 truncated in both. That's probably what 80% of everyone is SASS is using. Yes it is the Short Rifle which has a 20" heavy round barrel. The rifle tested is a Short Rifle which is a 20" heavy round barrel. They come in either Blued or CCH. Both are different price points. The #1 purpose of my review was to try and settle some of the very unfounded negativity on this rifle. It's not a Uberti.....and in my experience that is a good thing. I have zero interest in doing a from the box to match review on a Uberti because I already know the results. 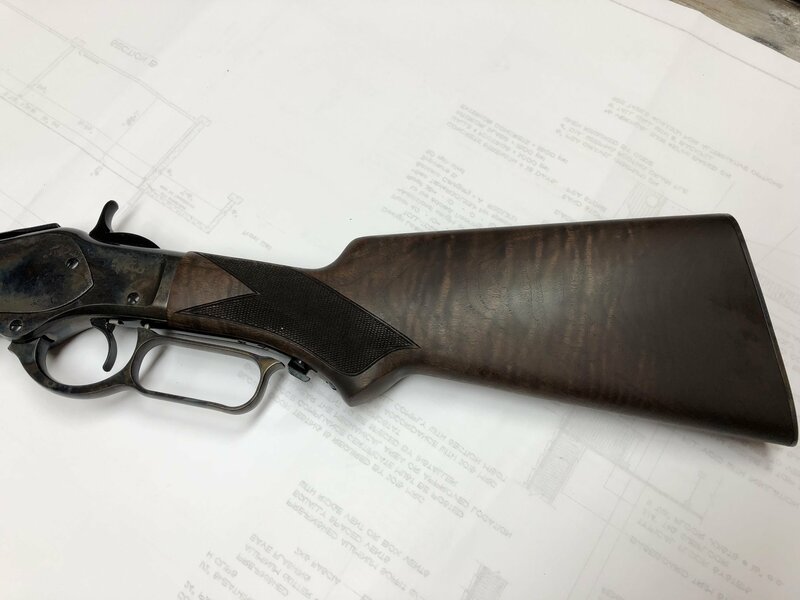 I believe in the Winchester guns so much I "risked" my own money on this project. These rifles can benefit from a nice lever wrap, some improved sights and if the shooter felt compelled a true action job that does not involve a short stroke. There are lots of shooters who won't rest until they have dumped all they can into a rifle and that is great. But the video shows what a shooter who is used to a SASS minimum stroke and a 14oz. trigger pull on his rifles can do with one out of the box. Just like with golf you can't buy "IT". Though shooters have tried for years and will continue to do so. 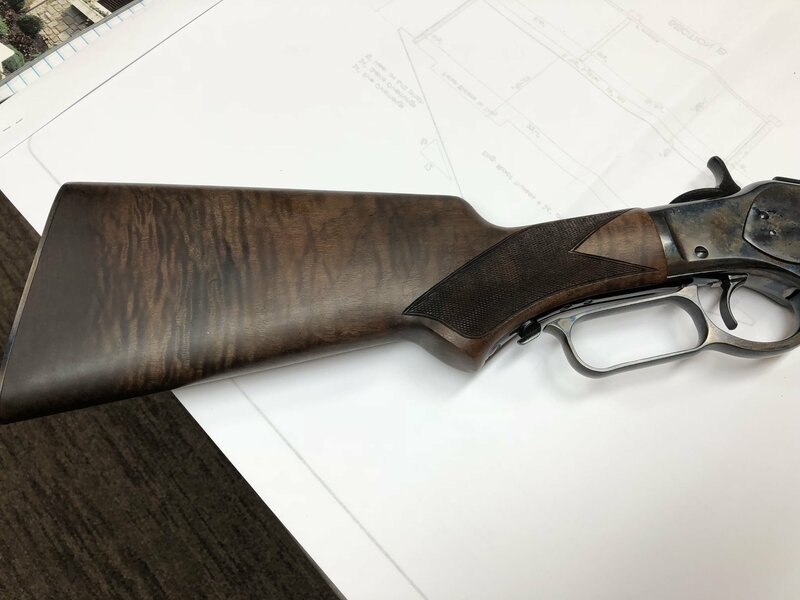 BTW, local gun shop had a new Winchester Miroku 73 in 45 Colt in the racks for $900. It was gone the last time I was there. I'm sure there's not a thing wrong with the winchester rifles and the fact your willing to stand behind them like you are is good enough for me. You've run some of the best tuned gun's in the sport and run a gun harder in a season than most of us do in a handful. Over the years theres been some fine guns come from Miroku. Thanks for doing the video Duece, thats the first time iv'e seen one of them run. Nice to see a company building a good out of the box SASS ready rifle . Kaya and I were two of the first to run these in our area. Kaya was playing around at the Indiana State match a couple years ago after she recorded her time and a small crowd developed behind her to watch. She was running sub 3.0 runs. Some wanted to know who slicked up her rifle. She said " Slicked it up? We took it out of the box and cleaned it." Quite a few at the club every month now and we have never seen a broken one. Competition for sales can sometimes be good for quality when there is more than one choice. Cool! Less expensive than the Uberti types and "better outta the box" to boot! I have this review rifle for sale over on the SASS Merchant Corner. Someone is going to get a very good deal on a great running gun and hope fully it's a new shooter. I've been shooting my Miroku Winchester for about 5 years. I welded up the firing pin safety and replaced the stock. The stock broke at the rear tang. I replaced the stock with a Uberti stock and it fit perfectly. And, the loading gate broke, Winchester sent me a new one for free. I'm pretty rough on long guns. The rifle will run as fast as I can run it. Don't really keep track of my speed. One of the TO's told me I ran a 2.97 whatever that's worth. 127gn RNFP work prefect for me and I suspect the 125's will as well but I haven't loaded any of those yet. I did the same thing Deuce did a little less than a year ago. Picked it up on Friday from a private dealer, cleaned it when I got home and shot it the next day at a match. The only problem I had with it, was a result of bad ammo. Were you shooting .357 or .38 special? What is the best OAL of cartridge for this rifle if loading .38 special? The miroku 1886 is pretty awesome as well for 45-70 fans. Have not found a flaw on my 6 mirokus. I ordered a deluxe pistol grip 357 with case color receiver and grade VI wood.